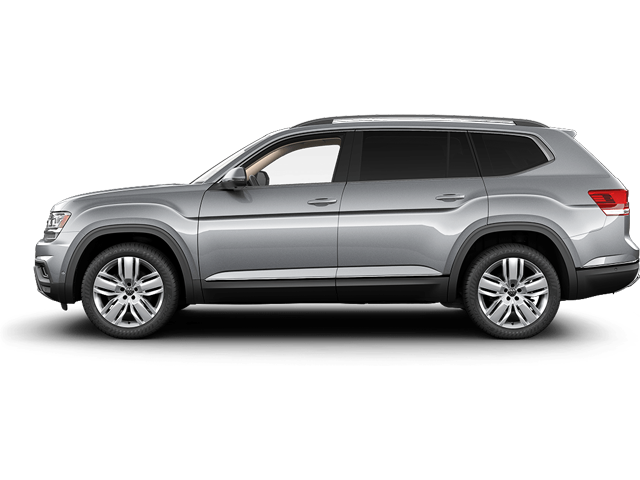 The all-new 2018 Atlas is not only the largest SUV Volkswagen has ever offered to North American consumers (its size is comparable to the Mazda CX-9, and both house a third row of seats), but it will be built at the company’s U.S. plant in Chattanooga, Tennessee. The will allow the German automaker to take full advantage of the popularity of this vehicle segment on this continent. Count the newly-arrived second-generation Tiguan and the unchanged-for-now Touareg in with the new Atlas, and Volkswagen’s SUV lineup starts looking pretty impressive. It’s worth pointing out that this is no knee-jerk move on the part of VW; the concept of what would become the new Atlas, known as the Cross Blue, was first introduced in 2013. I had occasion to drive it on a private airport strip during that year’s Frankfurt Motor Show, and even then it was clear this was one concept destined for commercial production down the road. The 2018 Atlas will be available in Canada this summer with a base price of $35,690. 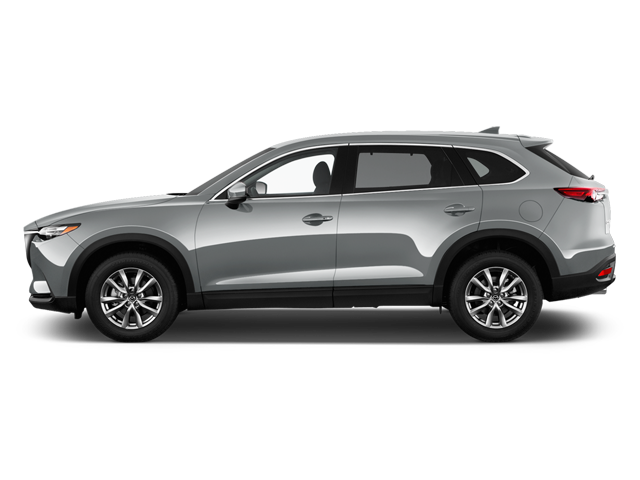 Two engines are included in the catalogue for the Atlas: a 2.0L 4-cylinder turbo able to produce 235 hp, and the trusty 3.6L VR6 (276 hp). Each is wedded to an 8-speed automatic transmission, though only the V6 offers an available 4MOTION all-wheel drive. 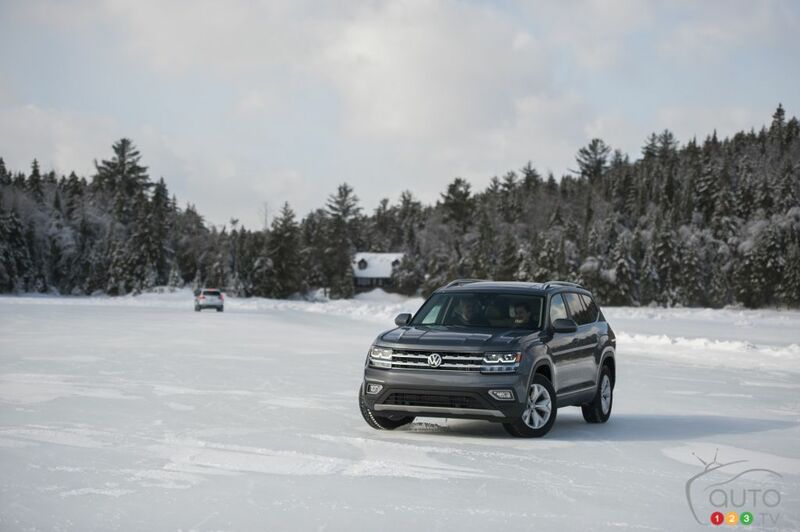 It’s this last powertrain that we had the opportunity to put to the test during an initial presentation of the Atlas in the Quebec resort centre of Sacacomie, which is surrounded by a network of snow- and ice-covered roads as well as relatively steep climbs and descents. This first demonstration allowed us to get acquainted with the qualities of the all-wheel drive; we’ll be following up with a more comprehensive review in the near-future. 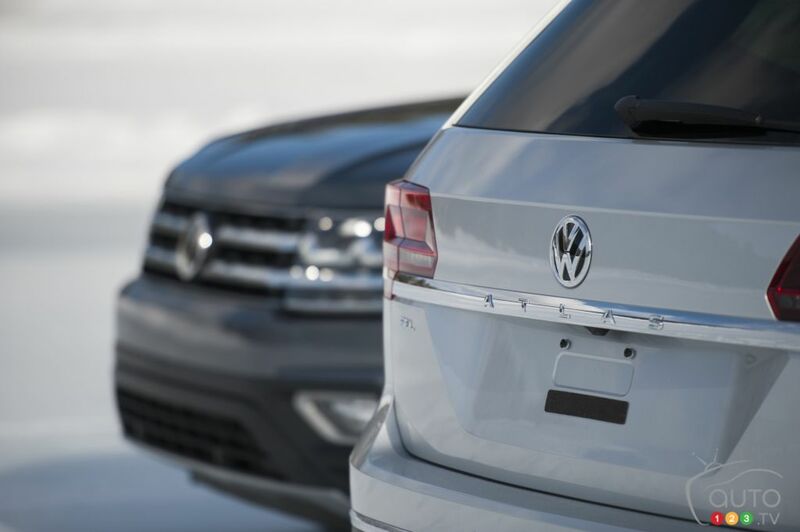 So that we could get even more intimately familiar with the 4MOTION system, Volkswagen Canada also brought along a pair of similarly-equipped Golf Alltracks. This provided an added opportunity for us to get behind the wheel of what AJAC crowned its Canadian Car of the Year for 2017. 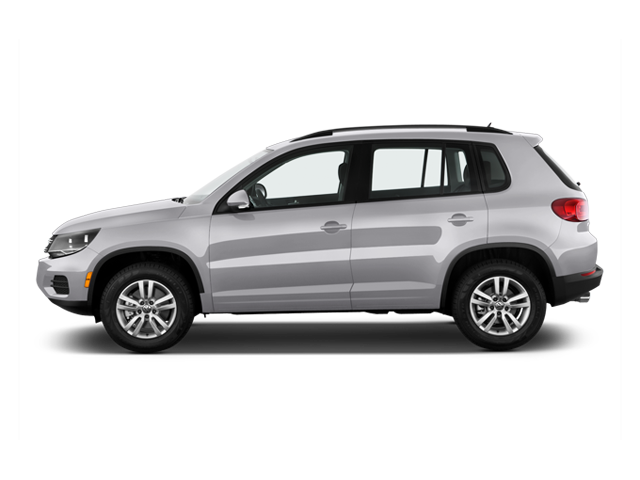 Though thousands of Volkswagen 4MOTION vehicles populate our roads, the general public is less familiar with this system than with, say, Audi’s quattro or Mercedes-Benz’ 4MATIC all-wheel drives. The 4MOTION used in the Atlas is in its fifth generation and is truly cutting-edge, and in fact its availability in commercially produced vehicles is very recent, having only been included up to now in Canada in the new Golf. In terms of the system’s mechanics, the management and distribution unit is located in front of the rear differential and constantly scans the powertrain; changes are perpetually being made. As a rule, the front wheels receive a greater percentage of the torque, with the percentage going to the rear gradually increasing according to need (up to a 50/50 ratio). Management of the all-wheel drive is handled by a control unit, the clutch plates and a hydraulic engagement pump. Volkswagen describes its system as an electro-hydraulic one. In fact it’s no more and no less than a Haldex system, adapted and modified by the company’s engineers at Wolfsburg. It’s worth adding that the rear multi-link suspension was modified for the 4MOTION system and that specifically-designed ball bearings are employed. As with all latest-generation all-wheel drives systems, the driver can choose between several settings depending on weather and road-surface conditions. These settings are adjusted via a button located on the central console; it’s possible to choose between Onroad, Snow, Offroad (automatic) and Custom Offroad. These first of these is subdivided into Eco, Normal, Sport and Custom mode. In the Snow setting, when the system detects that the wheels are sliding, it automatically reduces power from the motor, activates the anti-skid feature and shortens the gear-shifting range. The Offroad setting, meanwhile, diminishes the engine’s power curve, and automatically activates the Hill Start Assist and descent control features. This last system ensures that when the vehicle descends at a more-than-10% degree angle, speed is automatically limited to 29 km/h. Lastly, the Custom Offroad setting has the same characteristics while allowing the driver to choose or remove certain functions. 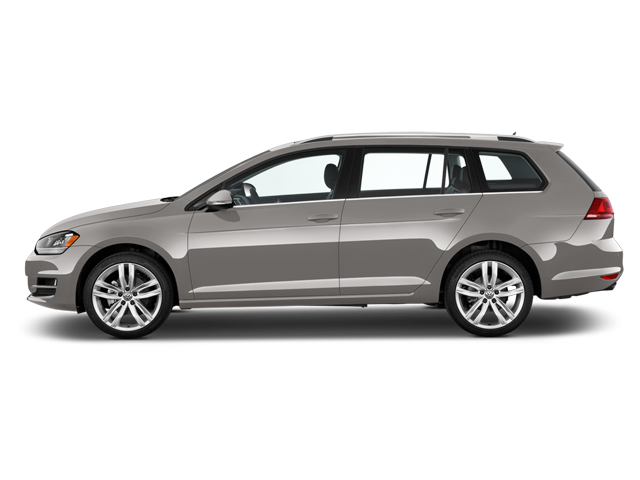 The Golf Alltrack has a nearly identical all-wheel drive system, but offers fewer setting and mode options to the driver. 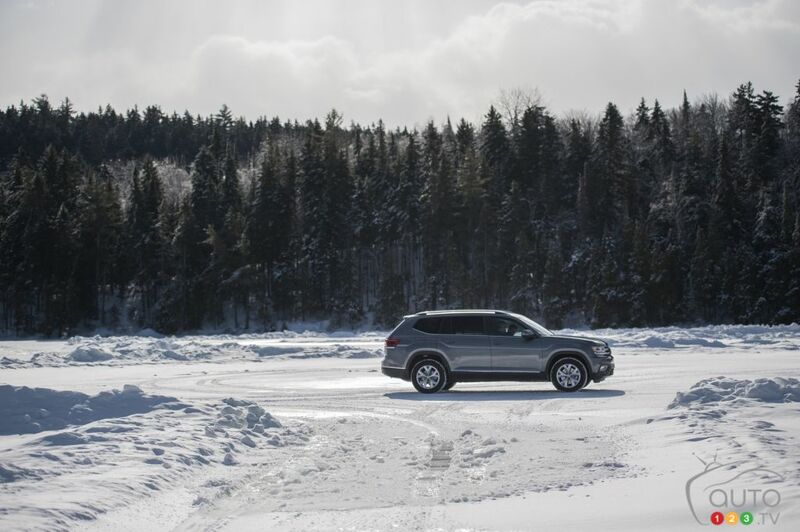 The main aim of this road test was to explore the qualities and abilities of the Volkswagen Atlas’ 4MOTION all-wheel drive system. At the same time, we did not fail to appreciate the car’s impressive driveability, including but not limited to its responsive V6 engine, balanced road handling and precise steering. Take note as well that most of these impressions we came away with apply equally to the Alltrack. Road conditions during the road test were quite challenging, including for example some driving rain, an unusual occurrence in Quebec during February. This provided an opportunity to put the Atlas through its paces in extreme situations, such as icy road surfaces that got icier as we climbed and roads covered in wet snow. Whatever the weather could throw at us, the Atlas remained utterly unflappable. 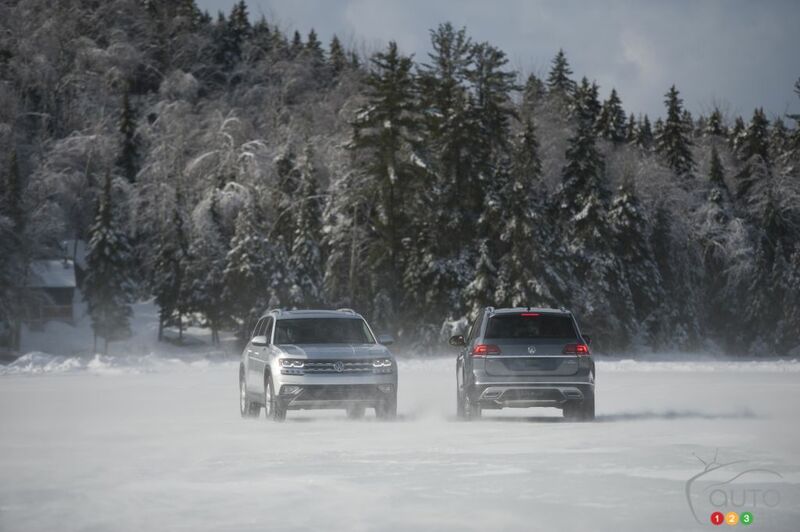 Traction remained solid no matter how much we accelerated on ice or on snow, the all-wheel drive always on hand and stolid. The descent control feature also proved highly effective. Overall, this first encounter allowed us to take stock of a sophisticated, well-managed all-wheel drive system that is transparent and capable of conserving proper road grip, speed control and stability. 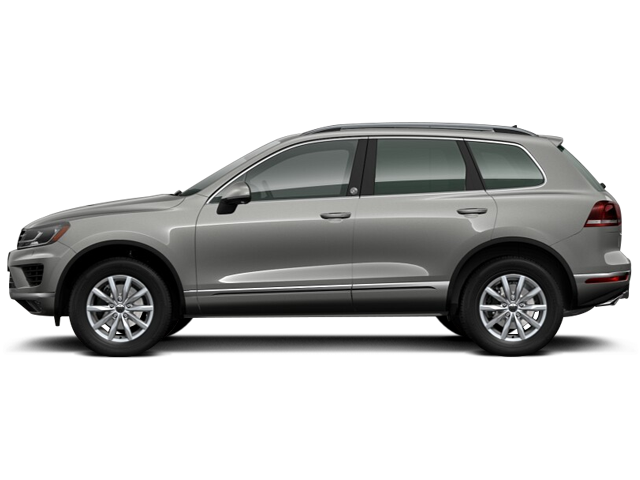 The experience also revealed to us a comfortable, pleasant-to-drive SUV. We look forward to a detailed road test that will examine its other on-road qualities and its performance during daily use. More on that soon!